Disclaimer: The Kinera IDUN was sent to us a sample in exchange for our honest opinion and does not have to be returned. We thank the team at Kinera for giving us this opportunity. The budget world is entering a new phase of audio. Undoubtedly, the wallet-conscious minds and ears of the consumer are now able to experience a good middle-tier product with a lower tier price tag. 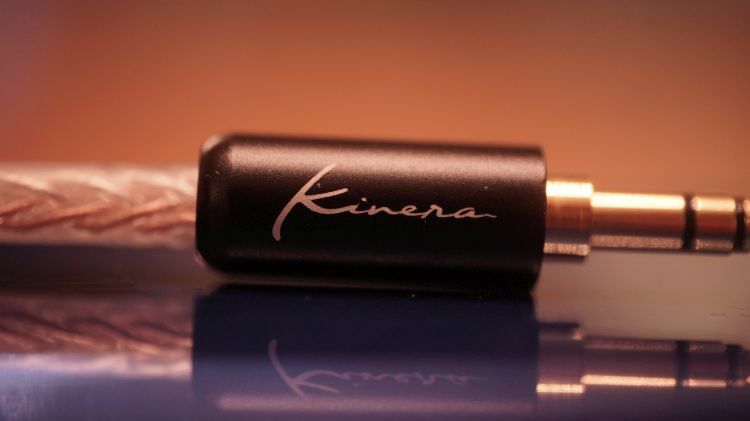 I’ve never heard a Kinera product before, so this was a real treat for me. 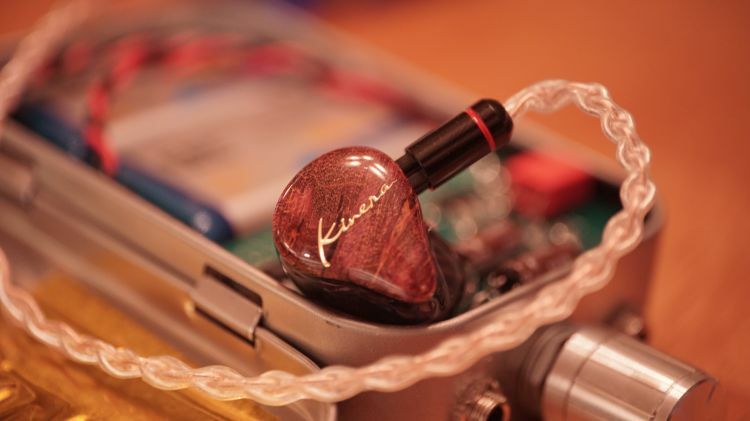 The budget tier is fraught with exceptional deals, so let’s see if Kinera’s newest IEM will be able to handle the pressure in the current market. The Asian market is dense with products to choose from, a real buffet of hidden gems to experience that will entice and satisfy the audiophile ear. 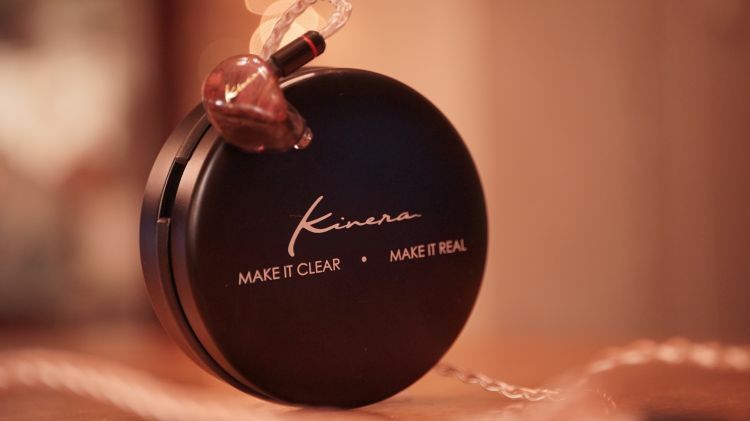 Setup in 2010, Kinera is a sub-brand of Yutai Electronics. I was asked to review the IDUN not too long ago and I am glad to have had the opportunity to take a listen and share my thoughts and “impressions”. Pun intended because the form factor of the IDUN is universal in actual design, but one tailored to look like a Custom IEM. Kinera made sure to add in a nifty small circular carrying case. Reminds me of Bubble Tape gum case from back in the day. The IEM itself is very well crafted for the price. It exudes a proper CIEM appeal that most of us want in our portables, so I have absolutely no gripes in the slightest about it. It does feel a lot lighter than an actual CIEM and it seems build materials are on the lighter side with regard to the exterior plate. The inner shells are more than acceptable in quality. For $139usd, this is a hell of a bargain for aesthetic appeal. I feel like the majority of experienced audiophiles want this exact design on the go. 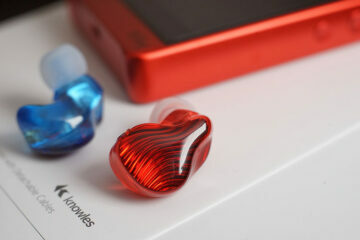 I know I want the visual appeal of a real CIEM with a middle tier universal price. It seems Kinera has given us just that. I am impressed. 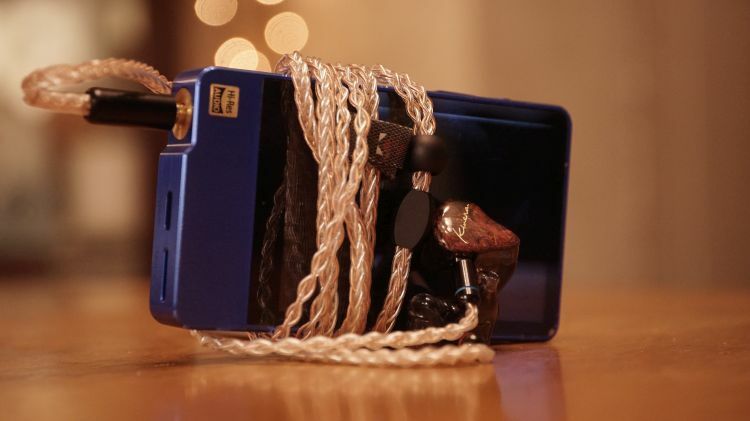 This is one of the best looking “universal” IEM’s I’ve ever seen. Even the cable looks high quality with a braided look and texture, as well as a hefty feeling 3.5mm adapter. Great job, Kinera. If only other middle-tier IEM manufacturers would implement this type of build and design into their products. I don’t feel like the IDUN responds very well to a guttural bass depth well enough to satisfy the price tag. Although, Kinera has informed me that they intentionally tuned the bass to feel balanced and neutral as it does. Not long ago, the Flare Audio R2A, which cost roughly the same price at its release, offered a much deeper experience on the low end of the spectrum. That is not to say the IDUN is severely lacking. It certainly isn’t. It just feels like the focus of the entire experience was aimed at something other than the bottom end. 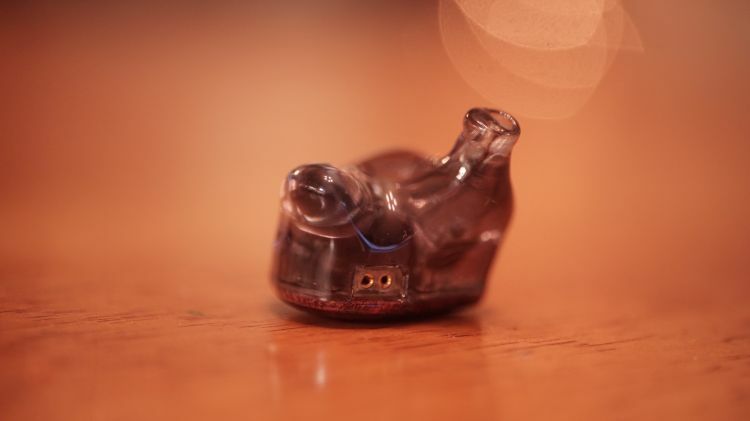 This IEM isn’t for you if you are a basshead and enjoy very deep reaching or well responsive bass. What is there, in quantity, is more than fine for the bottom end of the middle tier in MSRP. I’ve found that the IDUN struggles very much with bass alteration into the positive margins. Meaning, raising the bass frequencies beyond +0dB will likely deteriorate the quality of the experience overall, as well as force you to toggle upward, perhaps too much, to achieve more depth and broadness. Typically, +3dB is my personal cutoff point before I get worried about audibly producing too much mud and texture loss in my EQ boosting. But, then again, I am a basshead and I want a lot of it on a subjective preference level. Objectively and during review-testing phases, I hardly hear much of a quantity difference from +1dB to +3dB and it isn’t until I hit +4dB that I can really hear much of a physical difference. By then, it isn’t much, to begin with, and proceeding to +5dB is entering the dark-no-no zone for unresponsive to bass IEM’s like this. Is that a bad thing? Not really. Only if you are after a bigger bass experience. If you enjoy a flat appeal to the bass, then you don’t really need to worry. A total 0dB flat or disabled EQ on the bass end is still more than satisfying enough in quality allotted. The IDUN offers a moderate midrange placement. What I mean by that is the perceived/physical locale of most voices in the track will sound slightly forward, but not too much. It also won’t sound distant or recessive in nature. The usage of “middle ground” is socially appropriate for a description of how the midrange is portrayed inside the stereo void of the IDUN. I don’t consider the IDUN thick or weighty, velvet-like or exaggeratedly musical. I do, however, consider it to be more on the reference and clinical side of the preference pool. But, not fully. For now, and, inside the midrange areas of the experience, I would rate the IDUN as a solid choice for the Classical listening enthusiast. Perhaps, those with an affinity for Jazz vocalist recordings that aren’t very intimate and forward sounding in their original recordings as well. 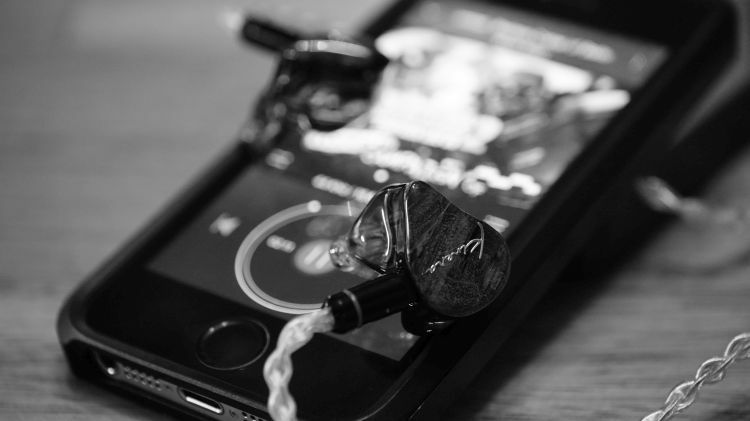 As for midrange fidelity and overall quality, at the $139usd price point, the IDUN is a very nice choice. The best choice? No. But, if you want a CIEM without the CIEM price tag that only looks like a CIEM and offers good midrange quality too…I really have not stumbled across anything quite like this IDUN sub $200. That might seem like a stretch or a small niche of a consumer group interested in buying for that specific reason. But, it really isn’t…because…I am totally part of that buyer’s group. I want that. Sometimes, I don’t want a ton of realism or quality on the go. I just want something that looks good, feels good and that I can use when I am traveling, walking, or in a place that I don’t want to use my expensive CIEM’s. For this case, I get that appeal of the IDUN. I enjoy midrange lushness and from a musical preference standpoint, I do not receive that in the IDUN. Clinical seekers will enjoy it though. The IEM isn’t exaggerating and coloring the experience. For $139, I am hard pressed to say there are many other CIEM-looking IEM’s out there that also have a good midrange quality for anywhere near this price. For the most part, the IDUN offers a clinical and reference tonality. That is, at least until you get to the treble areas of the spectrum. In my humble opinion, the top end is a stark and beautiful contrast to the rest of the experience, in that it is noticeably musical. The treble and top end offered feels a bit denser and bright in the best way, in comparison to the more dry and natural appeal of the bass and midrange tone. Gently bright is preferred, subjectively, to me. I feel like it is a smart design to implement the top ends of natural and clinical sounding products, if not for the sake of having something for your ears to crave and latch onto that is interesting. A totally flat experience is, at least to me, undesirable. Thankfully, the IDUN does not suffer from an overly slamming feel to the ear, even when slightly boosted up to +3dB on the top end. I can almost call the treble “sweet” and “gentle” on amplifiers I know to be a bit prone to harshness up top. In that regard, the IDUN feels more than musical to me in terms of dynamic kick potential. What I mean by that is the IDUN will not slam hard even with desolate DAC’s that are harsh in the treble region. I was unable to get the IDUN to sound overly icy and harsh on anything I own that was reference quality in tone. With very musical amplifiers and sources, the top end of the IDUN was riding the horizon of moderately soft and very soft on literal physical slam and kick factor. This is a good thing. We don’t get to hear too many lower-midtier IEM’s with that type of a treble experience. The last I can recall was again…that darn Flare Audio R2A from a few years ago. Kinera’s IDUN is lacking in the sound-stage department when compared to some of the titans of soundstaging in the same price tier. That is not to say it is bad at what it does. It simply isn’t showcasing anything special or amazing in the way of stereo imaging. For the price, the image size in depth of field is, again, middle ground in prowess. It neither entices me nor does it leave me with a lacking need to be satisfied. Height and width factor were both coherent and well balanced enough to call the IEM well rounded and not a wide field type of a presentation. The box effect is in place here and that isn’t at all a negative quality to have in a product. It really means the product is well suited for general purpose listening and will be good for most usages. It lacks nowhere. But, it also doesn’t showcase something that grasps my ear enough to call it interesting. If imaging and sound field size and vastness is something you are looking for in this product, I’d recommend a few other models out there before this. If you want a good and balanced presentation, though, this is a solid choice once again. Kinera did well with this IDUN. I am not going to question that statement on a reread of this because the more I used it, the more value I saw in the pricing, along with the visual appeal. I was complimented on it a few times while out and someone even thought it was a real CIEM that was molded to my ear, gawking at how expensive it was. I routed him to Kinera listings online and where that person could purchase this and that really tells the positive tale when said individual was extremely happy at the price of the unit. The IDUN looks amazing and feels good in the hand. The build quality is very nice and the cable is extra tasty. I’d like better bass response in their next venture product, as well as something more musical in tonality on the low end. Perhaps, also, a slightly thicker and richer feeling midrange. Beyond that, I don’t really expect a $139 IEM to sound extremely vast in imaging property value. For what is there and offered, this is a very nice sounding IEM. Everyone around you is likely to notice it and inquire as to where you got it. 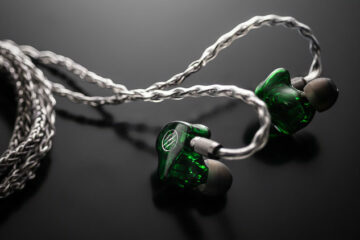 That is good for business because the IEM is relatively cheap by audiophile standards. Symbio eartips rock, they go with me everywhere and are good cross between a full on foam and more porous silicone tip. I would recommend the iBasso IT01, Advanced ANC747. If you are into a lot of bass, consider the older Hisoundaudio Wooduo 2 and the LZ-A5 (just a bit over $200 in budget) are all great options. It isn’t about what is technically more proficient or which one has better fidelity. It is more about your preferences. I would recommend these if you want something that looks like a custom, but isn’t a CIEM, as well as that houses a relatively balanced sound signature. If that is what you want, this IDUN is a great pick. If you can hang on in a week or two I am publishing the Creative Aurvana Trio hybrid at almost same price. Its a stellar performer. 1MORE’s triple driver might be another option.